I love busy bags! I initially made them to have on hand for Dancing Queen to use while I was homeschooling her older siblings. 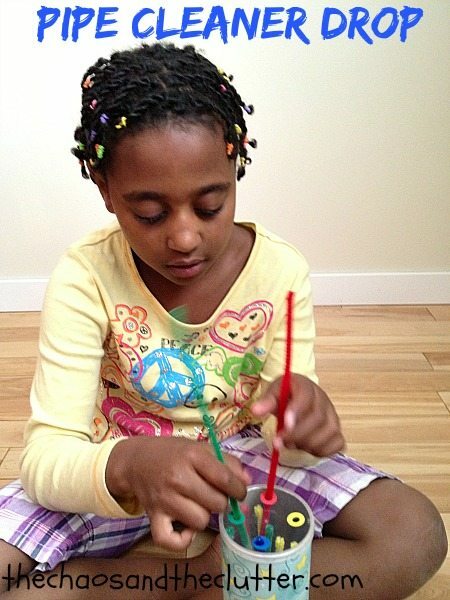 Even though she is 8 years old, developmentally she is between 2 and 3, so it is like having a toddler in many ways. She is too distracted to sit through most homeschool lessons and this proves challenging for the other kids and I. Busy bags are something she can do quietly on the floor, at the table or at her desk and be occupied but still learning at the same time. 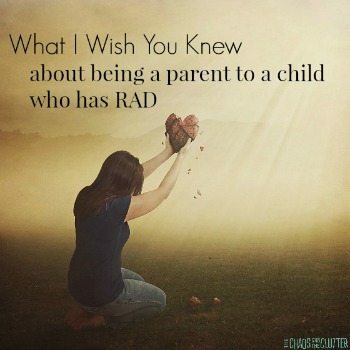 They also have proved to be great for other things as well. 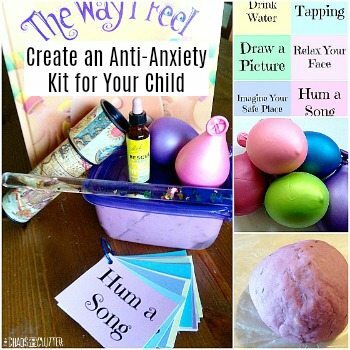 They are perfect for bringing with us for waiting rooms or road trips and even my older kids enjoy doing them. This past weekend, Dancing Queen sustained a concussion falling over five feet off my brother-in-law’s deck. We grabbed three busy bags to take with us to the hospital which helped her to stay calm while we were waiting and then in the following days when the doctor’s instructions prohibited her from doing most activities (no TV, no electronics, no active play, no reading, no schoolwork, etc. ), she was able to do simple busy bags. 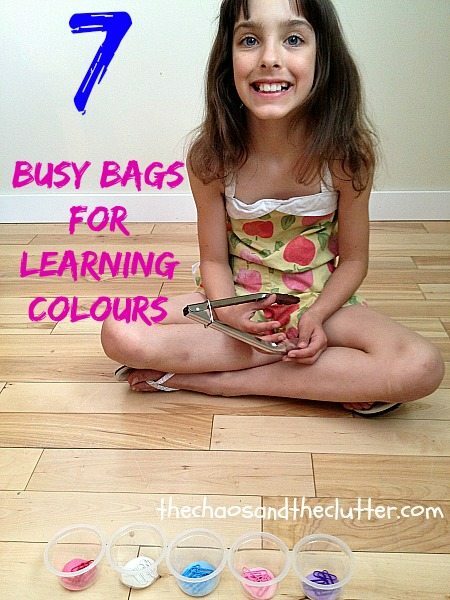 Here are 7 busy bags that help children learn their colours. All of them are simple to assemble and most cost next to nothing to make. Punch holes in the lid of an empty potato chip can (I used a Pringles can). Add a coloured reinforcement sticker to each hole so that the colour surrounds the hole. Add pipe cleaners that are the same colours as the reinforcements into the can. I folded the ends of the pipe cleaners down so that they wouldn’t be sharp. I also glued a piece of scrapbook paper around the Pringles can just to make it look nicer but this step isn’t necessary. 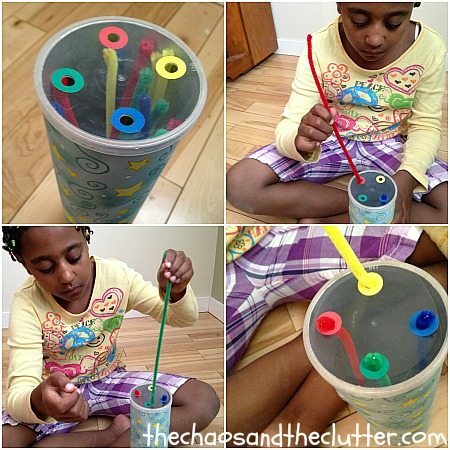 Your child can then thread the pipe cleaners down the holes that match the colour. 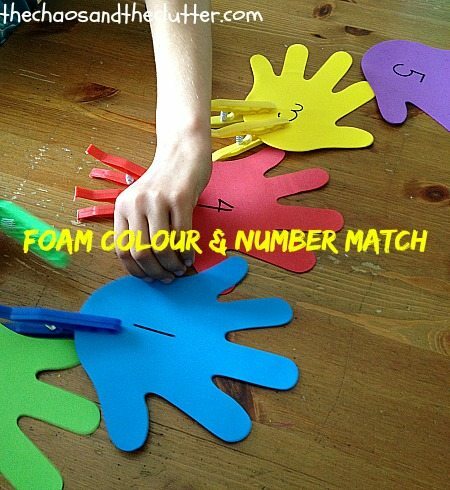 This is a great activity for fine motor as well as for learning colours. This activity bag is so easy to throw together. Put pompoms and coloured feathers in a bag with paint chips and have your child match the colours. They also can do patterning if you add in different sizes of pompoms or work on fine motor if you add in a pair of tweezers. For this busy bag, I used paint chips that already had a hole punched in them which saved me a step. If yours don’t have a hole already, punch a hole in the corner of each paint chip and thread them onto a binder ring. This activity takes seconds to make! 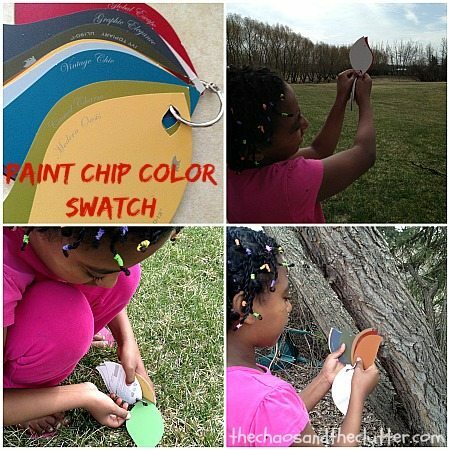 Your child can then use the ring to match colours in their colour swatch to objects they find in their environment. Cut a piece of cardboard into a circle. With a black permanent marker, section it. It may be easiest to use a ruler for this. Add a splash of colour to each section with a permanent marker. 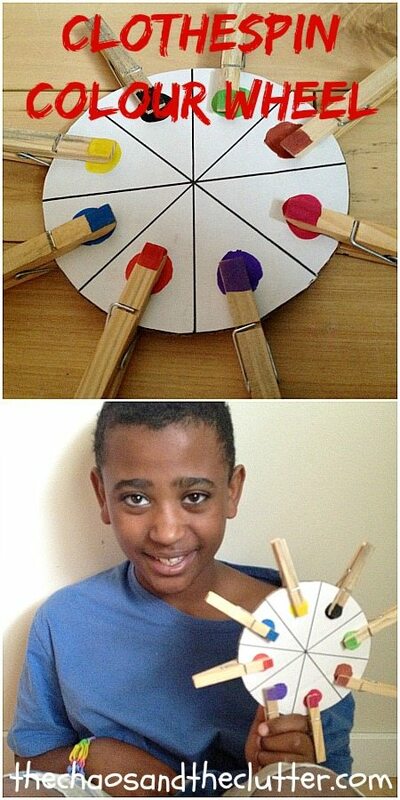 Colour the ends of wooden clothespins in the same colours used on the colour wheel. Add the pieces into a resealable bag. 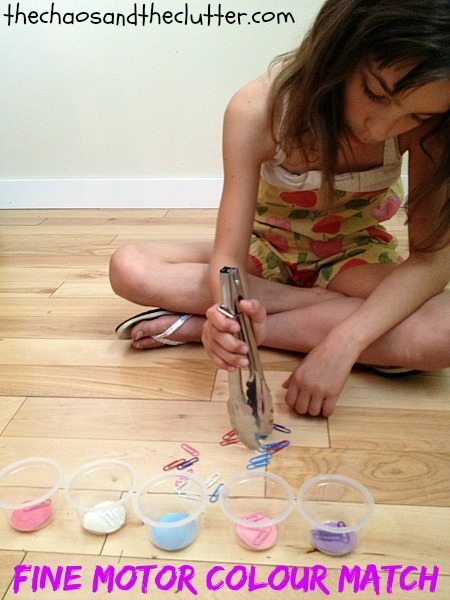 Your child can then match the clothespins up to the corresponding colour. Using a permanent marker, write a number on each foam piece (we used hand shaped ones). Put the foam pieces along with clothespins in corresponding colours into a bag. Your child can either clip the amount of clothespins as the number written or clip the same coloured clothespin as the foam. 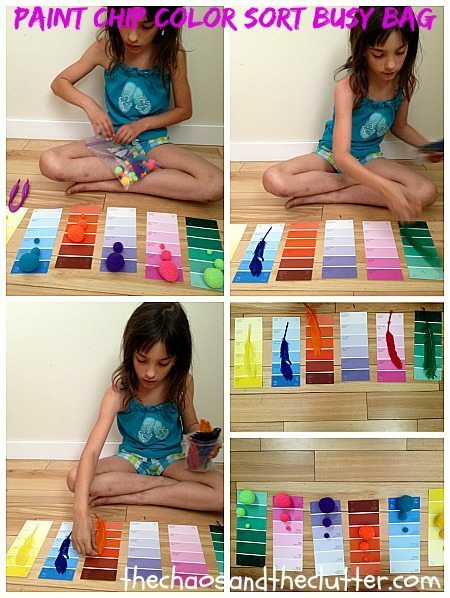 Put a circle of coloured paper in the bottom of empty plastic containers. We used individual applesauce containers. Put them in the bag along with a pair of tongs, coloured paper clips and pompoms. Your child can practise both their fine motor skills and their colour matching as they sort the paper clips and the pompoms. 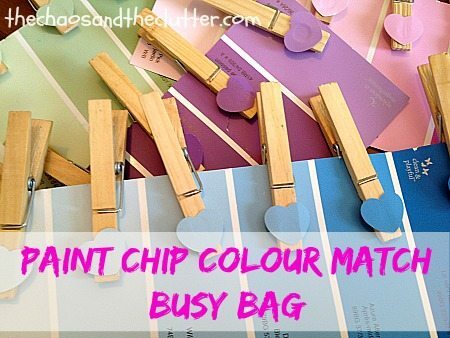 To make this busy bag, you need to take two identical paint chips and cut a shape out of each shade of colour in one. I used a heart shaped hole punch. Glue these shapes onto the ends of wooden clothespins and place the intact paint chips and the clothespins into a resealable bag. This activity is effective as a more advanced colour matching game as some of the shades can be similar and difficult for kids to differentiate. If you are looking for other busy bag ideas, you may be interested in following my Activity Bags Board on Pinterest. Last week, I shared 7 Busy Bags with Paint Chips. Perfect timing! Sunshine our 2 1/2 year old desperately wants to join learning time. Her level of excitement is matched with my level of anxiety, stress, and fear. With ADHD, RAD, Autism, and more, I have yet to figure out how to incorporate her into things when Bulldozer still needs a one-to-one most of the time. I always feel bad because Sunshine is my most delayed kiddo, but trying to add her is just so hard. Busy bags is a perfect idea. I was just telling my husband last night that I needed to come up with ideas she could do on her own. Thank you! Wow! So many activities! 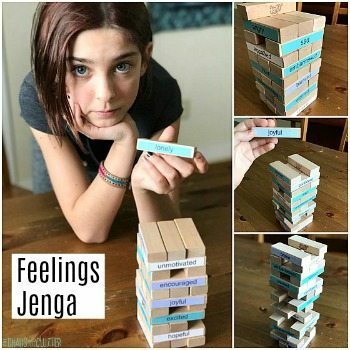 My son isn’t quite into these types of activities yet (we try, but usually they aren’t well received haha), but I am definitely pinning for later! This is just great! Will keep kids busy for a long time! Very creative! 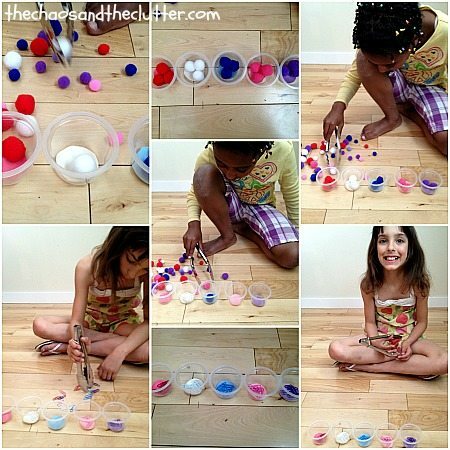 I would love it if you would link this post on my blog and the link party I am hosting this week, Crafts for Kids. Thank you! Some great activities! Thank you for sharing at Sharing Saturday!